Using the vehicle selector to the right will present you with the correct selection of parts relevant to your specific vehicle. Even though we'd love to sell everyone a new clutch every 6 months, the reality is that clutches should last a long time. While clutches can wear faster than others due to normal use (for example, if you've got a Ram diesel that's pulling 25k lbs every day, your clutch is going to wear faster than the clutch in gramma's Honda Civic), clutch life should be measured in years. In the years that we've been developing clutches, we've come to learn that there are seven things people do to prematurely wear out their clutches. If you take these lessons to heart, your clutch will last longer. NOTE: If you follow our advice and manage to stretch your clutch life out another year or two, please remember us when it's finally time to get a replacement (thanks in advance). This is something people do because they don’t really know what they’re doing, but even experienced drivers do this, especially in traffic. What you need to know is that when the clutch pedal isn’t all the way UP, you’re wearing the clutch. 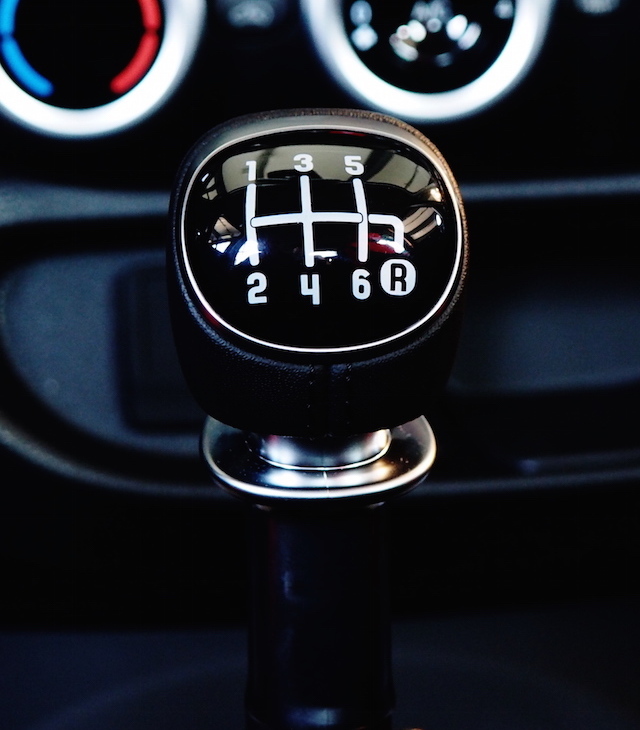 While it’s okay to engage the clutch pedal smoothly (go too fast and no one will want to ride with you), the less time you spend engaging and disengaging the pedal, the longer your clutch is going to last. Shifting before the clutch is fully disengaged - or letting the clutch pedal out without being completely in gear - is a clutch killer. Obviously, jamming gears without pressing the clutch down is a horrible way to shift too, but that’s a whole other issue (Note: If you do this sort of thing, we sincerely hope you have a sponsor who helps you pay your repair costs). Not completing your shifts before engaging the clutch causes the disc to catch, banging the dampner springs to their limit causing premature wear and/or failure, and possible warping of the disc from inconsistencies and heat. Over time, it will become harder and harder for the clutch to catch as the disc starts to wear down, warp, or get jammed up by broken pieces of the damper springs. Rollback is tricky, and kind of scary, so you might find that sweet spot on your clutch that allows you to brake the car without actually being on the brakes. Unfortunately, it's a clutch killer. The solution? Stop rollback by pulling the emergency brake while on a hill, not completely, but enough to keep your vehicle from rolling. If you're really fancy, you can try to hold the foot brake with the heel of your right foot while you push on the gas with the toes of your right foot at launch...but that's an advanced trick. You'll need practice. Until then, you can manage the ebrake with your hand, releasing it when it's time to go while simultaneously engaging the clutch and moving forward. The important lesson here is to never use your clutch to keep your vehicle from rolling backwards. This will burn the clutch very quickly (as will engaging to roll forward, disengaging to roll back, re-engaging to roll forward, etc.). This isn't so much a "problem" as it is a side-effect of an upgrade. If you increase the torque output of your engine, you've probably changed the clutch wear rate. Clutches are rated for a specific range of engine torque. When you change that range, you often see clutches wear faster than expected. Diesel truck owners experience this problem most often, as many of them upgrade their engines to pull better, get better fuel economy, etc. If this is your situation, you want to look at an upgraded clutch kit based on your upgrade (see our Ram, Ford, and GM truck pages respectively to learn more). However, any vehicle with upgraded power output will probably see clutch wear increase. Other changes that can impact clutch wear include increased tire size, changes in gear ratio, and/or a substantial increase in vehicle weight (from frequent hauling or installing commercial equipment), and towing loads without upgrading to a clutch that can handle the torque capacity. It's not terribly common, but it's not exactly rare either: Clutch contamination occurs when some sort of fluid (usually oil) gets on the clutch disc and shortens the lifespan. A leaky rear main seal is often a culprit, but any number of fluids can contaminate your clutch, including the hydraulic fluid that powers your clutch cylinders. Grease can also get on your clutch surface if the installation isn't done correctly. This happens most commonly when you’re trying to tow heavy loads, or if you’re (gasp) trying to do a burnout. As much as we love a wicked awesome burnout, this article is about maximizing clutch life...it's not about "how to be wicked awesome." Therefore, we don't suggest burnouts, or "tug a truck" contests, or any other activity that could subject your clutch to excess wear and tear. As for towing a heavy load, it's important to take yoru time and shift with care. Be smooth with your shifts and you'll be fast, and that will minimize clutch wear. What a huge mistake this usually ends up being when you drive a stick! Your friend might seem like they mean well, but they probably aren't being completely honest about what a bad driver they are. Not to mention, people tend to have less respect for a vehicle they don't own. One day, you'll notice your clutch isn't grabbing like it should, and you'll never really know what happened -- expect it to happen sooner than later if you have a really cool sports car or hooked up rig! If you’re guilty of driving using these bad behaviors, give us a call so we can get you set up with a new clutch. 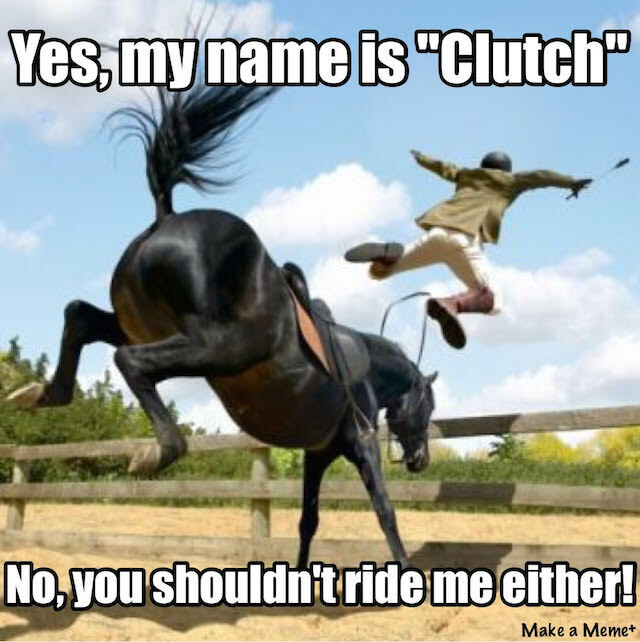 It’s okay, next time we know you’ll be nicer to your clutch!